Catamarans are a fast design and come in many sizes. Small catamarans are used for sailing and racing from the beach. Large catamarans are now being used for professional racing for example in the Extreme Sailing Series and America’s Cup. Yachting is the best know type of sailing. Yachts can be crewed buy many sailors, each skilled in their own task. There are many disciplines that vary from match-racing close to shore to long distance racing such as the Volvo Ocean Race around the world. 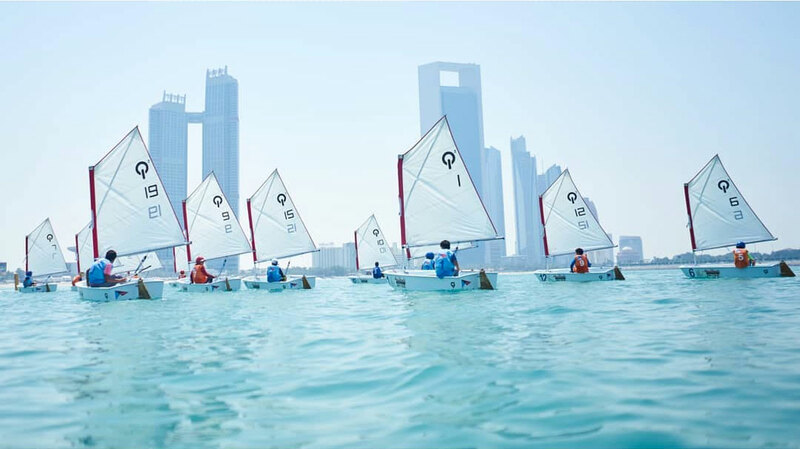 The Abu Dhabi Sailing & Yacht Club annually host a variety of regattas for all classes. All events are organized according to the standards set by the International Sailing Federation. Sailors compete in a series of races during the regatta and the champion is decided by a points scoring system.